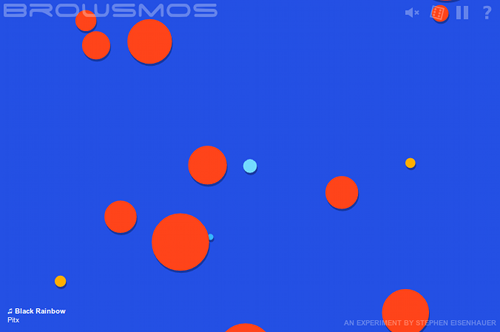 Browsmos is a game the web browser, made entirely using HTML5, and inspired heavily by the gameplay of Osmos. The rules are simple; click to propel yourself around, and try to absorb smaller cells until you become the biggest. Watch out for larger cells, or they will absorb you! Browsmos can also be installed as an app in Chromium or Google Chrome, requiring no internet connectivity to play.